My wonderful homestay here in Mostar is coming to a satisfying close. The most valuable long term travel resources are house sitting, renting a room or an apartment, and staying in a home of a local that can also include Couchsurfing. The lady I met at the bus station provides an ultra comfortable home that can sleep up to six people. She was kind enough to wash my clothes and iron them, and cook a couple of hearty meals. 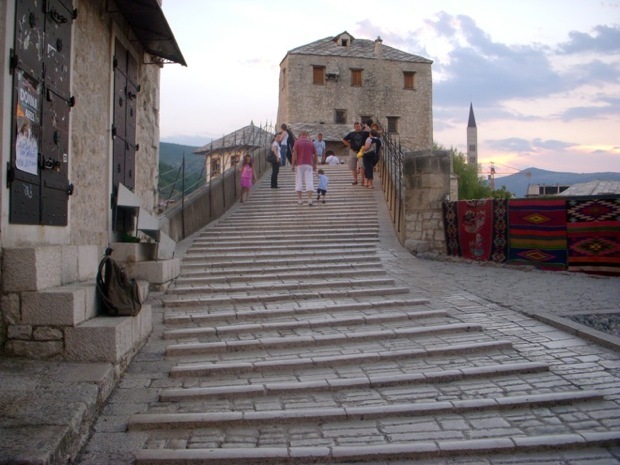 International homestay situations such as in Ohird Macedonia, and here in Mostar provide an introspection of the local cultural. It is important that I stay an extended time when I find a homestay that is ultra comfortable. I should have stayed longer at the small, all pink flat in Bar, Montenegro. If I ever rent a long term flat I think I will paint it pink, I experienced pink to be a calming atmospheric color. Maida @ sobe-denino.com provides a warm welcome upon the arrival to Mostar. The travel writers in the Lonely Planet create a perception that the people offering homestay rooms at the bus stations are tourist trouts? This is a preconceived idea here in the Balkans. Most the lonely planet travel writers don’t consider the people at the bus stations of offer homestays. They are writing upon their perception without experiencing the unique situation. I visited with a couple that agreed that the Lonely Planet writers present the consideration at the bus station within a bad light, instead they recommend to visit a tour office to find a homestay. As a long term traveler I have never used any tour agencies to arrange any type of service. In countries such as India an Egypt, the people that are trying to get you to a certain hotel are mostly trouts trying to make a commission, but here in the Balkans the people I have met are genuine. Krusevo, Macedonia—three nights, 10 Euro a night. Ohrid, Macedonia—six nights, 7 Euro a night. Sardana, Albania—three nights, 10 Euro a night. Berat, Albania—three nights, 10 Euro a night with breakfast. Bar, Montenegro—three nights, 15 Euro a night should have stayed longer. Budva, Montenegro—two nights, 25 Euro total. 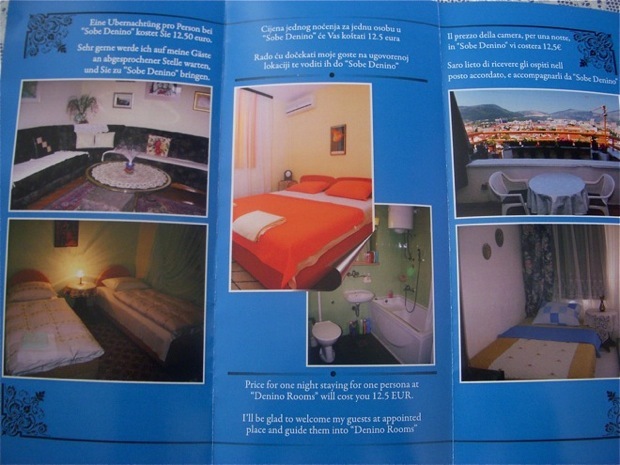 Sarajevo, Bosnia—five nights, 12.50 Euro a night. Mostar, Bosnia—7 nights, not too sure how much she will charge but I’ll find out tomorrow. Originally she said 15 Euro but she might give a discount. It really doesn’t matter, this home stay has been the best of the best. Prior Homestay: West Bank, Luxor Egypt, 10 days. I have met some nice people while staying here in Mostar during the last week that includes mostly younger locals that speak good English. Specifically, I visited with a lady that owns a craft shop in the old town—she works for six months straight from 0800 to 2300 and then six months off during the winter; she said the craft shops bring in good income. At the home we had a person from Japan, Pakistan, Sweden, and a family from Turkey all separate stay-overs and one nighters. The family from Turkey were a delight to visit with, the father works on in the tour industry in Turkey providing 12 day tours to the main sites. He will cattle around 30 to 40 people and accomplish about 12 tours a year. He travels three months out of the year during the winter off season. He expressed that the company of the travel agency sets-up the tours so the tourists are continually busy. 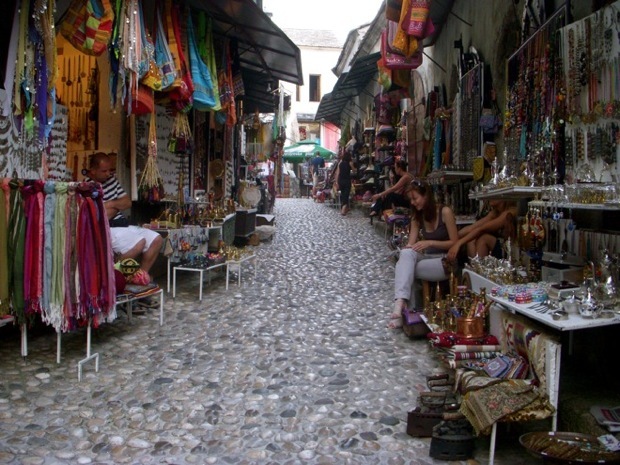 The tour guides and companies work on commission from the restaurants, hotels, and carpet/craft shops. So the tours prevents the tourist to have time to shop on their own because then no commission is generated. Yet, many people go on tours because they don’t want to navigate and deal with the struggles of independent travel, and for many people a tour works, even if they are unaware of poorer quality food and slightly higher prices. I also met a friendly couple from Ireland honeymooning on the Croatian coast and they decided to take a stroll up to Mostar. In addition I met a very nice woman from Turkey; we spent the evening visiting at a cafe near the old bridge, but this area is over priced—all the restaurants charge double. During my seven days here in Mostar I optimized all my sites for fast loading and accomplished needed website tweaks. I will be offering my services to build websites on WordPress using Thesis in the near future. I am not a Thesis Ninja yet, but close, for sure in the advanced intermediate stage. I have a site in the making. I am going to make my way up to Banja Luka stopping at a few locations on the way. This is a great post. It looks like we would really enjoy Moster. Especially if we stayed in a Home Stay. Thanks for the information and wonderful photo’s! Thank you, I truly appreciate specific prices, this is refreshing. I thrive on this type of information, and truly thank you. I dream that owners of cheap travel rooms will one day fill up my site HoboHideOut.com and make these rooms easy to find. Thanks, I am in Rio Dulce, Guatemala, it is summer in Europe, I could easily stop in this region of the world before either moving on to India or Africa. I have changed my travel methods, I am now living in rooms for a month, do any of these rooms have 24/7 Internet inside the room so I can wake at 5:00 am and work? Hey Andy, it really depends on the situation, some rooms do not have internet, but if you meet someone at the bus station they understand the need for Internet, however, the room I am staying currently is only 8 Euro with no Internet in Jajce that Western tourists don’t visit. Buy the way I got the map idea from yourself. Hi, that was a great article, I’m very interested in going to Egypt myself and have been planning to book a holiday from egypt holidays. I was wondering if you had used their service and any more information about Egypt would be greatly appreciated. Thanks for the comment, I never use any type of travel agencies when I was in Egypt, nor any other time within the last three years. Especially if we stayed in a Home Stay. Thanks for the information and wonderful photo’s! Hey Shawn, I just left a reply to your comment over at my site. 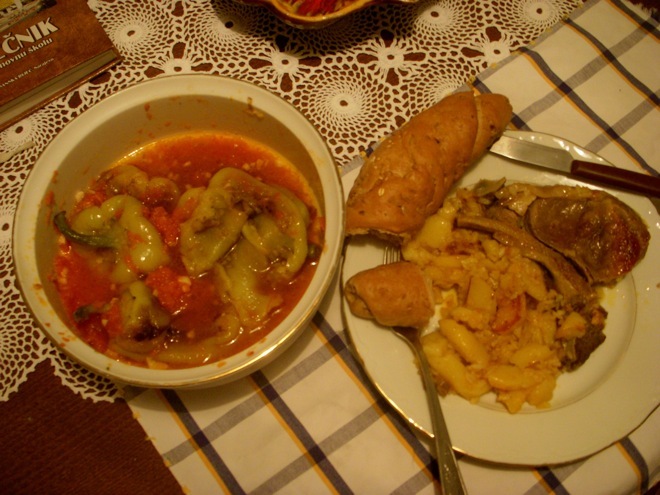 It sounds like the homestay experiences you had in the Balkans is similar to what we experienced in Croatia, except much cheaper! I get really frustrated when I don’t have internet, and we found it pretty hard to come by in most of the private accommodations we got. But when the prices are low, and you have good interactions with locals, sometimes it is worth giving up some of the comforts I usually like to have. And oh, I forgot to mention that I found LP’s take on the people at the bus station to be interesting as well. We didn’t buy a guidebook for the Croatia portion of our trip, and I picked up a Lonely Planet in a bookstore to browse through it. I think they are way off. Everyone we met was very genuine, and just was trying to fill their room for the night. If some were aggressive, it was only because there was so much competition. At first I was taken aback by the people, but seeing them with their families and experiencing their kindness reminded me that they are just trying to make a living. People represented their rooms well, for the most part, even with a language barrier. Hey Amy, yeah the LP’s take is way off. Glad your finding some home stays in Croatia. From reading your blog there is a big price difference comparing the south. And, I agree with no Internet is more difficult but with the good prices the home stay is worth it over a hotel. more than an hour. fLoved the way of your lifestyle.. Your blog filled me with enthuse of travelling more ! Are you still in Mostar? I wish I could stay there more..
ı would like to meet you again, please let me know..
Hi Serpil, thanks for the comments. Today I am in Belgrade but will be heading back to Sarajevo for August. Most likely wont be going back to Mostar. If I get back to Turkey I will look you up. Just spent 2 nights staying in Mostar with Maida at Sobe Denino and it has been a fantastic few days. On the second night she prepared a fantastic traditional feast. She is such a helpful person and incredibly kind. I highly recommend staying with her. Hey Rebecca great to hear, I am glad you enjoyed your stay with Maida. I really enjoyed staying at her home. 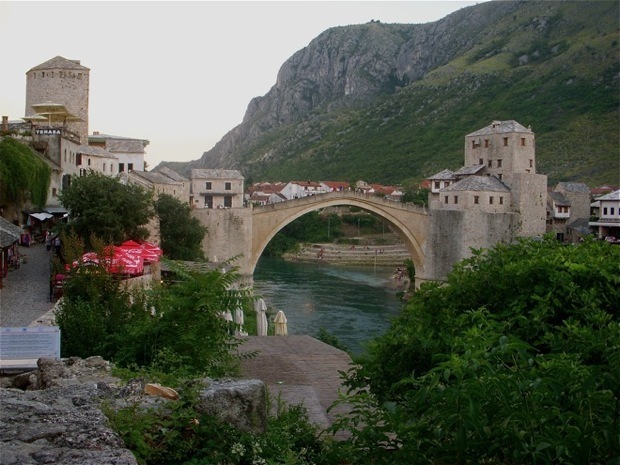 Next post: Jajce—A Travelers Hidden Gem—Bosnia! Previous post: The Former Front Line of Mostar—Bosnia.